Melodic endings of spatial constraints. 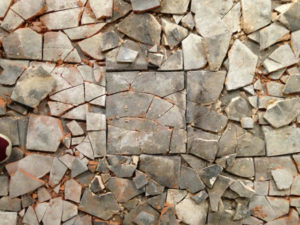 Melodic Endings is the sound of broken clay. 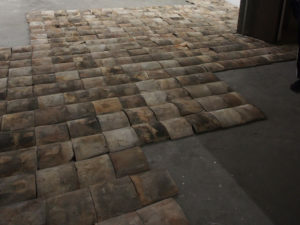 Is the curved shape of traditional roof tiles. 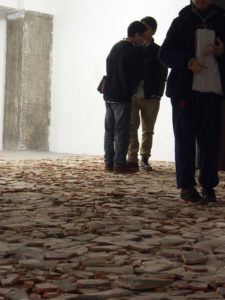 Is tiles flattend to broken shards as the spectator walks through the exhibition space. period today, a land value pulverized in continuous endings starting.